Nielsen SoundScan has tracked sales for Billboard since 1991. It maintains a running list of the 200 best-selling albums in its history, but that list is dominated by albums from the 1990s and early 2000s, when overall sales were much more robust than they are today. It’s almost unfair to compare albums from that era to albums from the last decade. So I extracted this list, of the best-selling albums of the last 10 years, from Nielsen SoundScan’s larger list. A total of 25 albums have sold 5 million or more copies in the last 10 years. Four artists have reached that plateau with two albums in this period: Eminem, 50 Cent, Taylor Swift and Josh Groban. Here are all albums that have sold 5 million or more copies in the last 10 years. The sales tally is the number of albums the album has sold from the week ending March 10, 2002 to the week ending March 11, 2012. (If the album was released prior to March 2002, I also show its total sales in parentheses. This affected only Jones’ album.) I cap each entry by showing the month of the album’s release and the album’s current rank on Nielsen SoundScan’s running list of the top 200 best-selling albums since 1991. Eminem to this list has got twice with albums The Eminem Show on 2 place and Encore on 22 place. Also slightly hasn’t held on to 5 million sales a soundtrack 8 Mile to the film with the same name in which has acted in film Eminem. 1. Norah Jones, Come Away With Me, 10,797,000. 2. 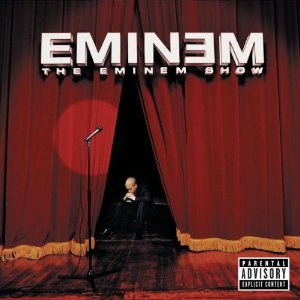 Eminem, The Eminem Show, 10,049,000. This is the best-selling rap album of the last 10 years, beating out 50 Cent’s Get Rich Or Die Tryin’ and Nelly’s Nellyville. 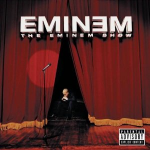 The album, Eminem’s third, spawned the top 10 hits «Without Me» and «Cleanin’ Out My Closet.» Released: May 2002. Top 200 rank: #18. 5. 50 Cent, Get Rich Or Die Tryin’, 8,086,000. 7. Nickelback, All The Right Reasons, 7,582,000. 8. Carrie Underwood, Some Hearts, 7,177,000. 9. Avril Lavigne, Let Go, 6,782,000. 10. Taylor Swift, Fearless, 6,514,000. 12. Kelly Clarkson, Breakaway, 6,219,000. 13. Green Day, American Idiot, 6,056,000. 14. Dixie Chicks, Home, 6,041,000. 15. Mariah Carey, The Emancipation Of Mimi, 5,964,000. 16. Josh Groban, Closer, 5,960,000. 17. Linkin Park, Meteora, 5,913,000. 18. OutKast, Speakerboxxx/The Love Below, 5,702,000. 19. Josh Groban, Noel, 5,446,000. 20. Shania Twain, Up!, 5,409,000. 21. 50 Cent, The Massacre, 5,286,000. 22. 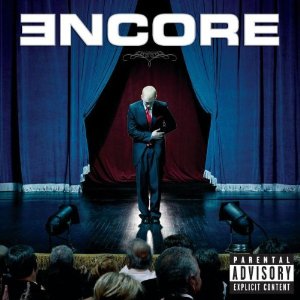 Eminem, Encore, 5,282,000. The album, Eminem’s fourth, contained the top 10 hit «Just Lose It.» Released: November 2004. Top 200 rank: #137. 23. Rascal Flatts, Feels Like Today, 5,230,000. 24. Taylor Swift, Taylor Swift, 5,175,000. 25. Guns N’ Roses, Greatest Hits, 5,161,000.